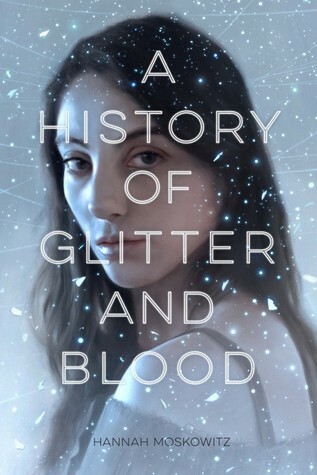 Thanks to Chronicle Books I have a copy of A History of Glitter and Blood by Hannah Moskowitz to giveaway. To enter leave a comment along with your email address. Open to US/CA. The winner will be announced on August 24th. But when Beckan's clan is forced to venture into the gnome underworld to survive, they find themselves tentatively forming unlikely friendships and making sacrifices they couldn't have imagined. As danger mounts, Beckan finds herself caught between her loyalty to her friends, her desire for peace, and a love she never expected. It sounds like an exciting and interesting read. I really like the cover. Thanks for having the giveaway. This is one of those books with a title that completely grabbed my attention. And the description sounds pretty great too--like a paranormal dystopian (which would be two of my favorite genres). This sounds interesting. Plus, I love that cover and title.